If your guttering system overflows, is sagging or overgrown, then maybe it’s time for you to call our Tottenham-based company as we specialise in providing premium-quality gutter cleaning services at keen rates. Using our services will greatly extend the life of your gutters and help prevent water damages to your property. All work is carried out by fully-insured and experienced individuals, who implement professional vacuuming machines and telescopic poles to efficiently clean all debris and dirt from customers’ gutters. Be wise and make use of our services before it’s too late and your gutters are damaged beyond repair! It is recommended to use our gutter cleaning services twice a year, preferably in spring and early fall. This will reduce mould formation, minimise the risks of water damages, overflows, leaks and foundation cracks, not to mention it will prolong your gutters’ lifespan. What’s more, we charge competitively as we believe every customer deserves to benefit from our know-how and experience. You can arrange an on-site estimate at a convenient time as we are available throughout the week, public holidays included. 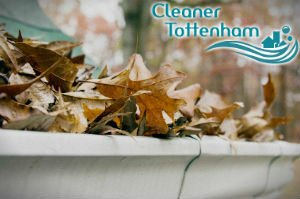 Our experts will arrive at the appointed time to inspect and evaluate the condition of your gutters. All damages and issues that need fixing will be reported to you so that you can handle them accordingly. If the price we have set suits you, the team will proceed to clean all leaves, cones, moss, and twigs from your gutters, using a professional wet/dry vacuuming system. It is connected to a telescopic pole, which extends to up to twelve metres, allowing our operatives to clean your upper-floor gutters from ground level. We guarantee our work for one month after the initial visit. 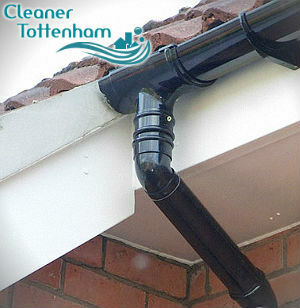 Our friendly and well-mannered operatives will gladly provide you with free tips on gutter maintenance as well. You can arrange an appointment over the phone or leave your details in our booking form – our call centre assistants will contact you shortly after!